Imagine going from the Pacific to the Caribbean in historic railroad wooden cars admiring lush jungle and a waterway. This is what the Panama Railroad allows you to do in luxurious passenger cars. 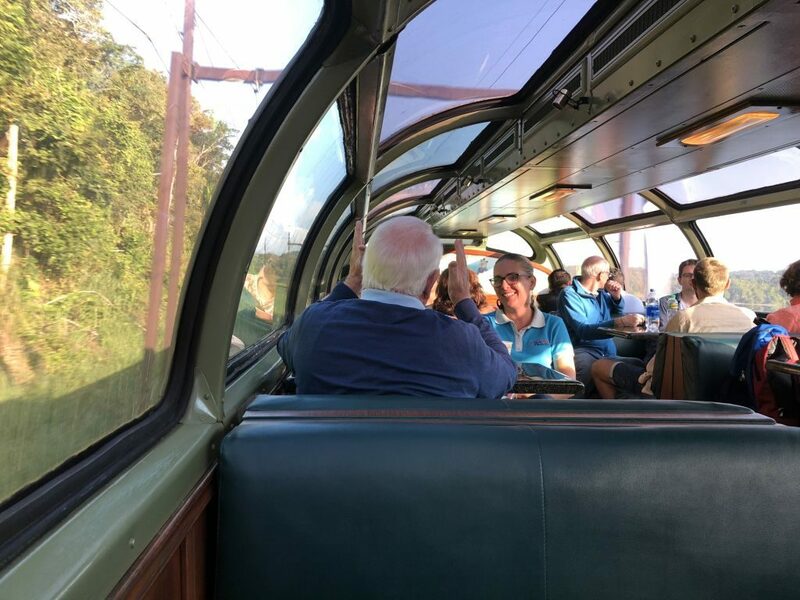 All cars are reminiscent of the Golden age of railway travel, with luxurious Wood paneling, carpeted floors, tables, soft lamp lighting, air conditioning, bathrooms, wooden blinds, large Windows and open air viewing decks. There is remodeled Southern Pacific Dome car that allows travelers to see not only through the windows but also thru the dome. Request a custom Panama itinerary which includes Christmas season!